Need a clear out? Skint from summer holidays? 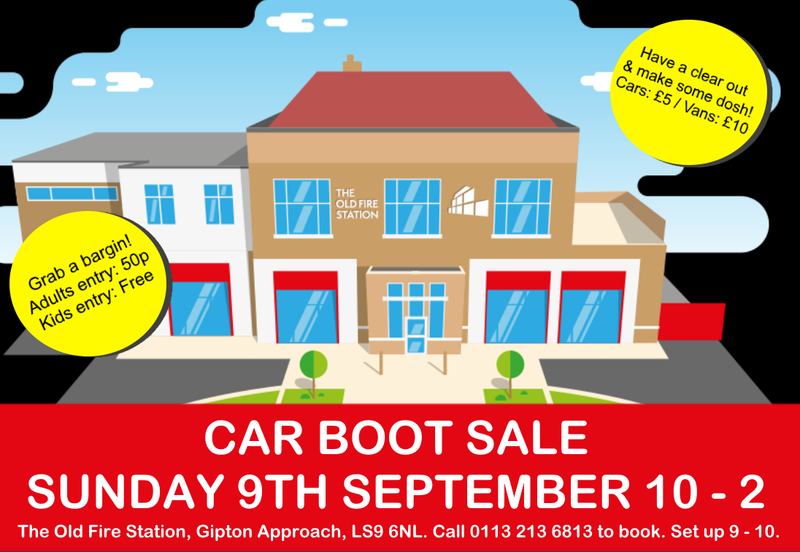 Recycle unwanted stuff and make some money at our car boot sale. Only £5 for cars, £10 for vans. Set up 9 - 10, late car entry not permitted. Call 0113 213 6813 to book your spot. All money raised goes to supporting our community hub. Cafe open serving food and refreshments. Toilets in the main building. Limited parking, please use alternative transport were possible.